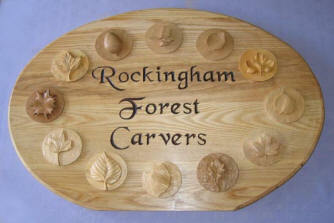 We are a regional group of the British Woodcarvers Association. Our catchment area is in general, Northants, Cambridgeshire, Rutland, and parts of Leicestershire and Lincolnshire. The Club is committed to the promotion of Woodcarving in any form, be it relief carving, sculpture, spoon making or lettering. A committee manages the working of the Club, all regular carvers, who will provide any help or information. Membership is open to all ages, male or female. You can join the Club by paying an annual subscription of £10.00 for Local membership or by joining the British Woodcarving Association (annual subscription of £25.00) which also entitles you to be an Associate member of the Club. An Application Form and Consent Form can be downloaded, and/or a Standing Order Mandate can be sent to you. If you would like a Mandate or have any other enquiries about the Club you can use the contact form below, sending your name and address.